WELCOME to the BenchMark at Southwind Realtors, LLC, website, serving the Greater Memphis, Shelby County, and North Mississippi areas. We are a full-service real estate team striving to exceed the dreams and expectations of our clientele. 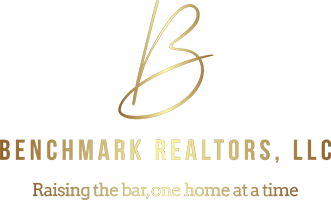 Whether you are looking for a Bank Owned / REO home, investment property, or new home community, the BenchMark Team will work diligently to meet your needs. In today’s real estate market, there is simply no substitute for a good Realtor. Whether you’re aiming to buy or sell property, a Realtor can mean the difference between a smooth transaction or an unsuccessful one. All of our agents are members of the National Association of Realtors. With that, each Realtor is held to the highest in ethical standards. We pride ourselves on our honesty, dedication and hard work. We have the knowledge and expertise to treat our clients with the highest level of quality service available. It’s the combination of our unique market-knowledge and excellent negotiating skills that enable our agents to get you the optimal price for any property you plan to sell or buy. We promise you that your experience with BenchMark at Southwind Realtors, LLC will be special and unmatched by any competitor. Whether you are looking to buy or sell, our team will work closely with you to cater to your every need and make your experience pleasant and stress-free. The BenchMark Team is dedicated to creating exceptional real estate experiences for our clients through the dedicated delivery of true classic service and personalized attention. We look forward to serving you with the integrity and class you deserve. We thank you for visiting our website and we look forward to your business.